Is the Khorasan Group Really Known As Al-Nusra’s ‘Wolf Unit’? The real name of what U.S. officials are calling the Khorasan Group may be the “Wolf Unit” of Jabhat al-Nusra, according to a report filed by a Dubai-based television outlet. Al Aan reporter Jenan Moussa says items found at a location hit recently by U.S. bombs list the members of the unit, and includes the name of at least one member of the so-called Khorasan Group. Moussa aired footage from the alleged Khorasan HQ in Reef al-Mohandeseen, Aleppo, which featured destroyed vehicles, books, and a tunnel under the hideout. She also says they found a list of 14 names belonging to a “Wolf Unit” of al-Nusra, the Syrian Al Qaeda affiliate, and that its leader was U.S.-identified Khorasan member Abu Yusuf al Turki. Al Turki is believed to have been killed in U.S. strikes on Khorasan. This isn’t definitive proof that Khorasan and the Wolf Unit are one and the same, but shows at least some overlap in membership. The Al Aan team says sources have told them all the men lived at the base, and that about 50 al Nusra members were killed in U.S. strikes. Al Aan believes the 14 on the list are all foreign Al Qaeda operatives now fighting in Syria. The “Wolf Unit” explanation would clear up why Khorasan had never been mentioned until quite recently: It’s not that different from the rest of al Nusra. Based on the Al Aan report, the Wolf Unit is just a subsection of the Al Qaeda affiliate, living and interacting with other fighters, even if they are planning their own, special missions. And while ISIS has largely focused on establishing an Islamic Caliphate in Iraq and Syria, Al Qaeda’s goals have always been more outward-looking. 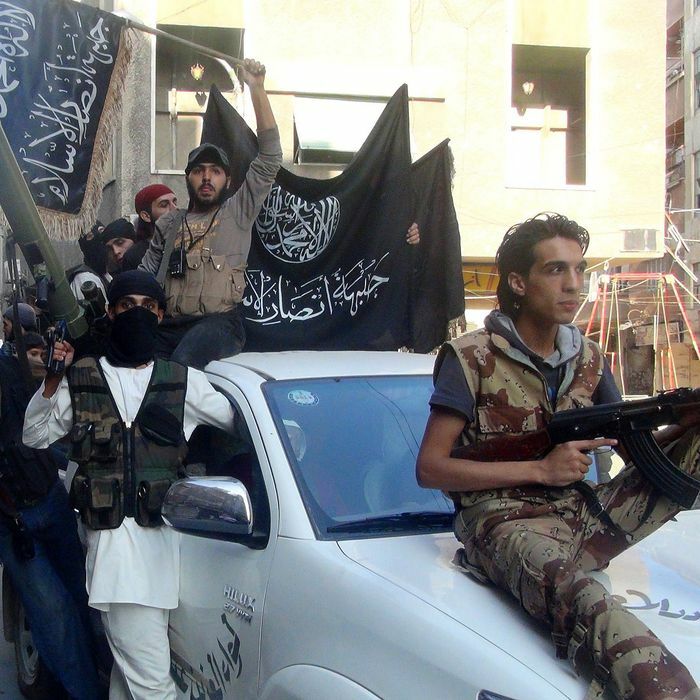 Is Khorasan Really the Al-Nusra’s ‘Wolf Unit’?